Tjovitjo is a South African television drama series which follows a pantsula dancer called Mafred who realises his dreams of leading the biggest dance troupe ever are fading, leading to increasing frustration at himself and those around him. Low life dance group leader Mafred (Warren Masemola) no longer has the same kind of agility he used to have. From a distance, he can see his dream disappearing and frustration mounts, causing him to exhibit explosive and irrational behaviour, which often costs his dance group Tjovitjo. And when a new person arrives in this community of Tjovitjo, and starts developing feelings for a girl Mafred is also eyeing, it makes matters worse for him and sets up a love triangle conflict. The starring cast includes Warren Masemola as Mafred, Lali Dangazele as Mandisa, Soso Rungqu as Kopano (who is at the centre of the love triangle), Rapulana Seiphemo as Bra Terror, Sibulele Gcilitshana as Queen, Harriet Manamela as Ausi Tshidi, Ntosh Madlingozi as Rev Mabusa and Hlengiwe Lushaba as Mmapaseka. The series also features a number of newcomers including Jabulile Mhlambi as Thandeka, Sithembiso Makhanya as Madamo, Victor Mohale as Virus, Charles Mafafane as Slender, Thandeka Motha as Deka, Lebo Tsoari as Maskhozi and Tebogo Chauke, who is also the main choreographer for the show, as Schoolboy. 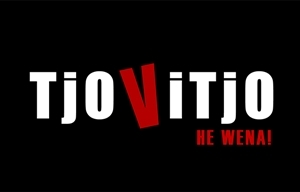 Tjovitjo is produced by Puo Pha Productions with executive producers Lodi Matsetela and Vincent Moloi. The series director is Vincent Moloi. The series was written by Moloi, Pule Hlatshwayo and Onthatile Matshidiso. The theme tune and accompanying music was composed by Zethu Mashika and the acting coaches are Princess Mhlongo and Hlengiwe Lushaba. Ever wondered what really goes down behind the scenes at the SAFTAS? Pruluv gives you the scoop. CHANNEL: SABC2 | Phat Joe and Thando Thabethe host the 12th SAFTA Awards, which celebrate achievement in film and TV in the past year.